In this backgrounder to a longer article published in the June issue of the European Journal of Palliative Care, Richard Smith, a paramedic with the East of England Ambulance Service NHS Trust, UK, explains how collaborative initiatives between two UK ambulance services and local hospices have resulted in improved education on end-of-life care among paramedics. When we decide to train as a paramedic to work in the ambulance service, we do so with one aim: to save lives. During my career, I have come to recognize that paramedic practice is not solely about saving lives but providing care, compassion and dignity to patients and their families even in the most challenging of situations. In recent years, the paramedic profession in the United Kingdom has developed autonomous healthcare professionals able to manage a variety of chronic and acute conditions both in the community and within healthcare facilities. In this time, we have also seen an increase in managing patients outside of hospital to reduce demand on hospitals. Emergency calls (999 is the official emergency number for the United Kingdom) are often received for patients who are palliative and end-of-life care. Often a crisis in the community (such as respiratory distress and unconsciousness), leads to 999 being called. Paramedics therefore need to possess the skills to manage end-of-life care patients in the community considering the physical, social and holistic assessment of patients and their families. It is well documented in the literature that there are challenges to paramedics providing this care including communication, coordination of services and lack of education to name a few. In two of the UK’s ambulance services – East of England Ambulance Service NHS Trust (EEAST) and South East Coast Ambulance Service (SECAMB) – there has been a drive to improve the quality of care provided to this group of patients focusing on effective assessment and management. At a local level, ambulance clinicians have been provided with bespoke training with the support of palliative care professionals from local hospices. Training sessions have included: communication skills, DNACPRs (Do not attempt cardiopulmonary resuscitation) and advance care plans, anticipatory medication, reversible conditions and more. Feedback from these sessions has suggested we have been able to provide ambulance clinicians with the tools and confidence to manage these patients. At a national and strategic level, work by senior clinical managers has established a UK-wide working group on end-of-life care involving all ambulance services. This has been central to pushing a focused effort on bringing improvements in this area of practice. For EEAST, this has resulted in a five-year end-of-life care strategy and practice guidance which has provided the foundations for this important group of patients receiving the appropriate care from our clinicians. In 2017, the work that has been completed by EEAST and core end-of-life care topics were publicised in an ‘End of-life Care Month’. This included articles and podcasts on the trust’s internal communications platform. A significant part of this work has been to forge multi-disciplinary relationships between ambulance clinicians and palliative care professionals. By understanding each other’s realities, we have been able to improve patient care on both sides of the patient’s journey. Ambulance clinicians are now equipped to deal with these elements of patient care and others understand what part we have to play. and other end-of-life care teams will help ambulance clinicians to deliver effective, compassionate and relevant end-of-life care. I would like to thank the other authors of the article cited above (Sarah Stead, James Hill, Claire Nicell and Shirmilla Datta) for their shared commitment and support to improving end-of-life care provided to patients at a local and national level. 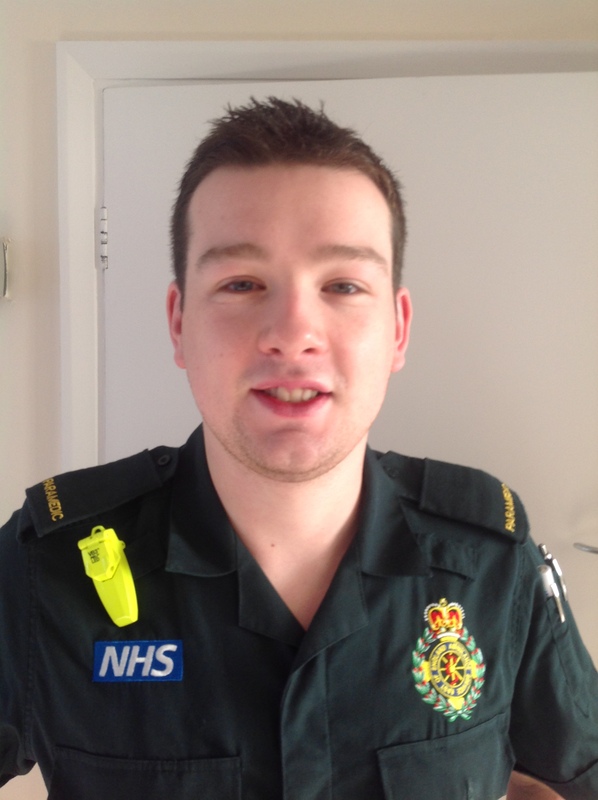 Richard Smith BSc (Hons) has been a paramedic since 2013 and is based in the Hertfordshire area of East of England Ambulance Service. We regret to announce that Hayward Medical Communications, the publisher of the European Journal of Palliative Care (EJPC), is closing the journal after 24 years. Since the launch of the journal in 1994, the EAPC and the EJPC have forged a strong and mutually effective bond. Together, we have provided our members and readers with a wide range of papers, including several seminal EAPC White papers, and the book of abstracts for many EAPC congresses. Our successful collaboration has also led to the publication of numerous posts on this blog contributed by many of the EJPC’s authors, providing a background to their longer articles. The diversity and high quality of the content have enriched our blog and we are deeply grateful to past and present authors, and to our colleagues at the EJPC. A tribute from the EAPC is published in the current issue of the journal. The publisher has kindly made all articles in the May/June 2018 issue freely available online. Click on this link to login (if you already have a personal subscription) or register. This entry was posted in EAPC-LINKED JOURNALS, EDUCATION & TRAINING, European Journal of Palliative Care and tagged End-of-life care training for paramedics. Bookmark the permalink.